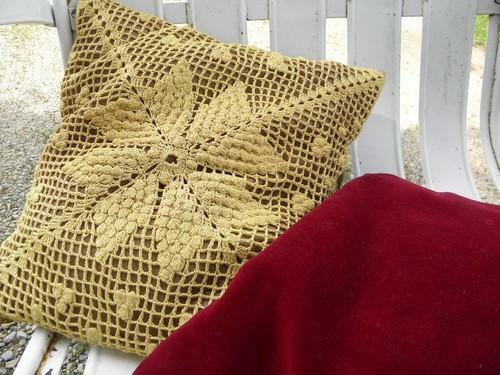 Two handmade vintage cotton lace topped throw pillows, one golden yellow, the other deep barn red, with colored thread crochet. 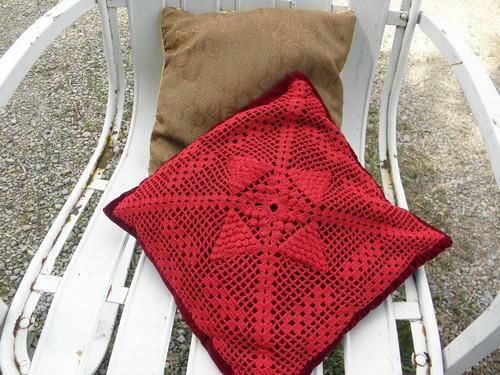 These are about 13" square. 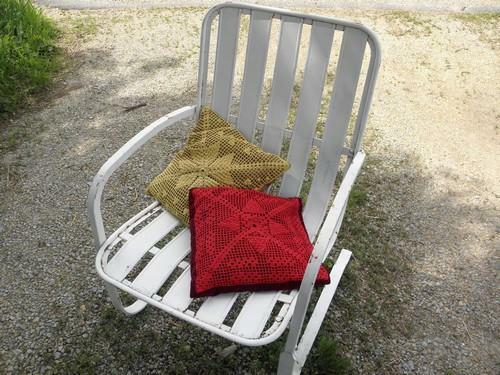 The goldenrod colored pillow is feather filled, we think the red in filled with cotton? Both in very good clean condition, odor-free, no signs of damage.